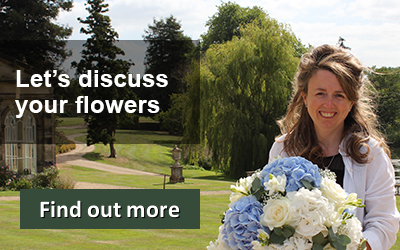 Below are videos of some of our wedding flowers that we have created for brides in the Warwickshire area. View our innovative range of bridal bouquets that we have created for brides. This includes hand-tied bouquets and shower bouquets. 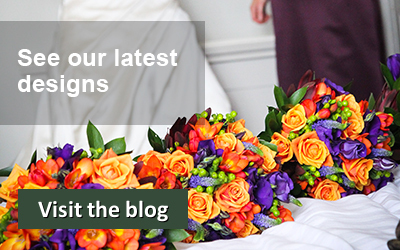 Need ideas to decorate your wedding reception tables? Watch this short video to get some ideas from our previous weddings. Vibrant oranges and rich reds – I love the colours associated with autumn! It’s little wonder that this is a popular theme for weddings. This video shows some weddings that we have completed with this seasonal feel. We are lucky to live close to two of the best historic castles in England – Warwick Castle and Kenilworth Castle. We are privileged to have decorated weddings at both venues. Purple and lilac are are an ever-popular choice for flowers. See what choices are available if you want to incorporate this colour into your wedding. Fun and feminine, pink wedding flowers are another popular choice. Here is a selection of weddings that we have completed with this colour theme.